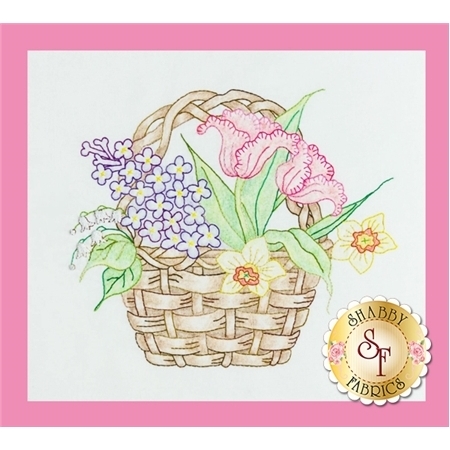 Spring Basket is another beautiful hand embroidery design from Crabapple Hill Studio! Use crayon tinting for extra interest. 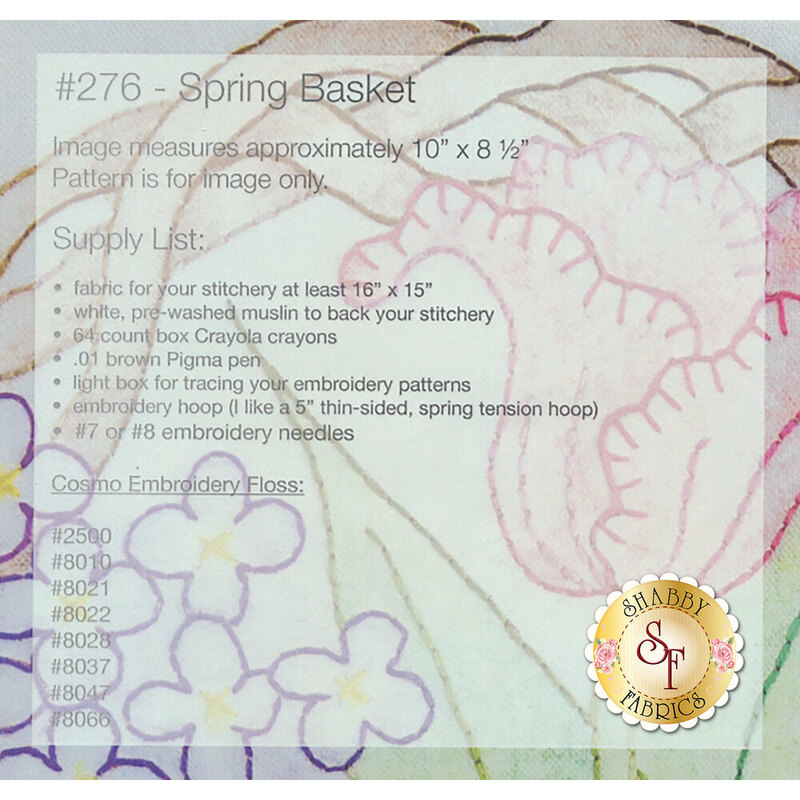 Pattern is for the 10" x 8 1/2" image only.